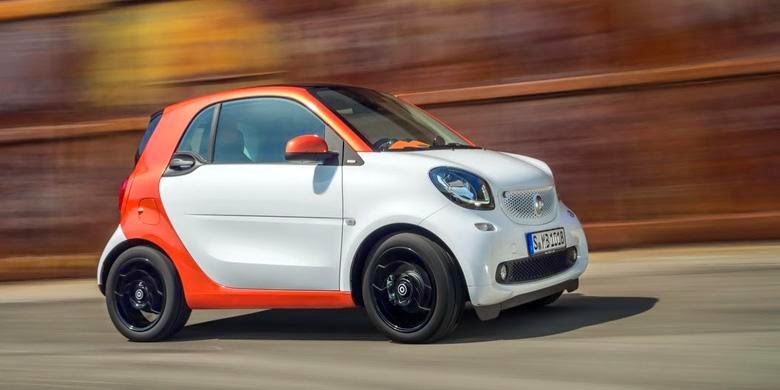 After briefly flirting with some leaks on the internet, finally Daimler AG Smart officially introduced the latest generation. The economical mini passenger car, now appear more macho, as if trying to remove the "funny" impression that had been attached. 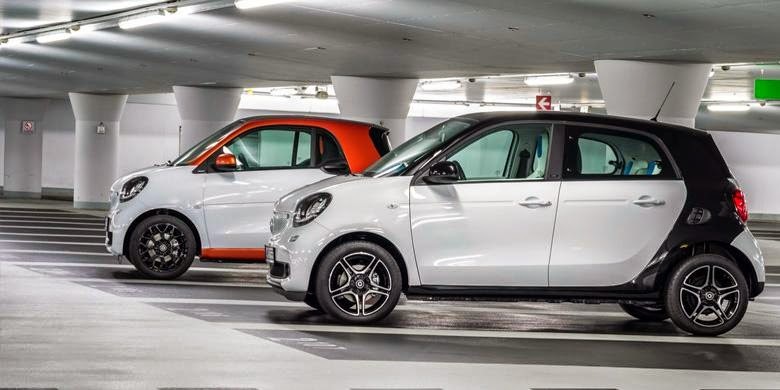 Smart introduced in two models at the same time, a third-generation ForTwo (two passengers) and a second-generation ForFour (four passengers). German manufacturer's hope, with the birth of this new generation, the Smart could be nipped in the city car market and the sold selling well in the global market. "No one can combine the functional and emotional as well as we do, according the inventor of individual mobility. 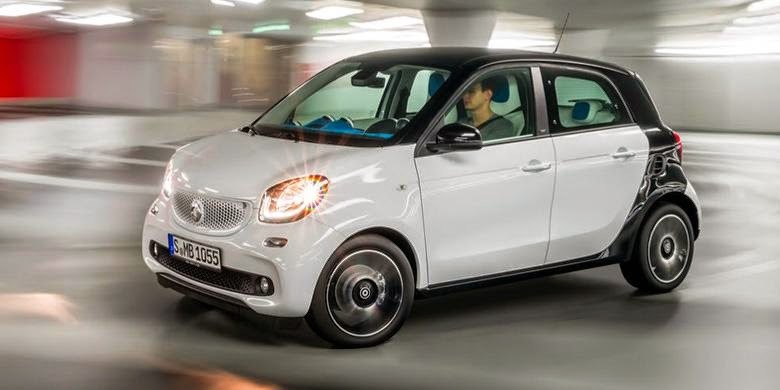 Latest generation ForTwo and ForFour adopt a proven concept, while offering almost everything, the room more spacious, more colorful, and more equipment," explained Annette Winkler, Head of Smart in Berlin, Germany on July 16, 2014. From its looks, both models of Smart looks much more macho than the previous product. Its facia looks sharp with the Day Time Running Lightlamp design, combined chrome accented grille, and bloated bumper also the boxy taillight with LEDs in it. The curve of the body side further supports sporty impression that try to offer. However, the greatest change occurred in the ForFour models, where from the first generation (2004-2006) produced using the Mitsubishi Colt platform. 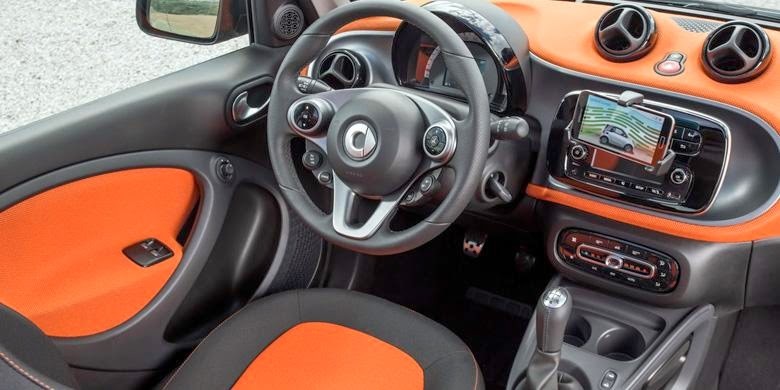 For this new generation, using the Renault Twingo platform, the same as the ForTwo. Both models use the same rear-wheel drive system and rear engine. Both models have the size the same width and height, 1,660 mm and 1,550 mm. However, different from the wheelbase and overall length. For a two-passenger version in width, 2,690 mm ​​with a 1,873 mm wheelbase, while four passengers 4,490 mm ​​with a wheelbase of 2,494 mm. In addition, the rear doors can be opened up ForFour now almost 90 degrees so that adds to the comfort of passengers in and out access. Though tiny, the Smart ForTwo still offers luggage capacity of 260 liters with the rear, while ForFour 185 liters. Turning radius becomes one of the advantages of this car, claimed just 6.95 meters to 8.65 meters for the ForTwo and ForFour. Daimler also announced there are two engine options for both Smart models. First, the 1.0-liter, 3-cylinder-powered 72 ps and 91 Nm of torque. Both 0.9-liter, 3-cylinder, turbo power produces 90 ps and 135 Nm of torque. In addition to these two options, Daimler has set up a large version of the smaller and energy. Also there are two transmission options, manual 5-speed automatic with double clutch and 6-speed. Both using the rear wheels system.